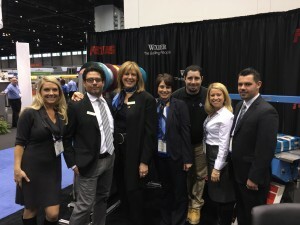 PACK EXPO International 2014 packed a punch at Chicago’s McCormick Place last week, delivering everything it promised and more. The massive exhibition took place from November 2nd – 5th, 2014. Wexler Packaging Products had the privilege of exhibiting in a large booth shared with ATS-Tanner of Switzerland and Felins USA.  Located in Booth #5545 of McCormick’s Upper North Hall, Wexler showcased a variety of alternative packaging and bundling solutions during the show. An excellent array of featured equipment was on display, ranging from stand alone units to automated systems. The booth was bustling with activity during all four days. Live demonstrations were conducted on a regular basis, affording attendees the benefit of seeing our equipment “in action”. Our Team kept busy chatting with attendees and answering questions about the many alternative solutions Wexler has to offer. The non-stop demonstration of the ATS US-2000 PIC-STA was a big attention grabber. Expo attendees and exhibitors alike were drawn into the booth to watch this machine automatically stack and band small boxed product for multi-packed bundles with ease. We had the pleasure of being visited by a handful of our customers during the show, including Florida-based ASO Corporation (seen right). Many thanks to all of our customers for stopping by and showing your support! Altogether, PACK EXPO International 2014, along with co-jointly held newbie Pharma EXPO, featured over 50,000 attendees and 2,400 processing and packaging providers, setting a new record for exhibitors at any PMMI PACK EXPO event. Showcasing a cornucopia of cutting-edge packaging and processing technologies spanning 1.2 million square feet of exhibit space, PACK EXPO International 2014 arrived right on time. The show packed a punch right where the industry needed it; leaving us all with a fresh perspective and new inspiration for reaching our business goals and closing sales. For more information, visit www.packexpo.com.